Micro Pestle is double ended pestle's one end fits 1.5 ml. Micro centrifuge tube & the other on Fits 0.5 ml. Micro centrifuge tube. 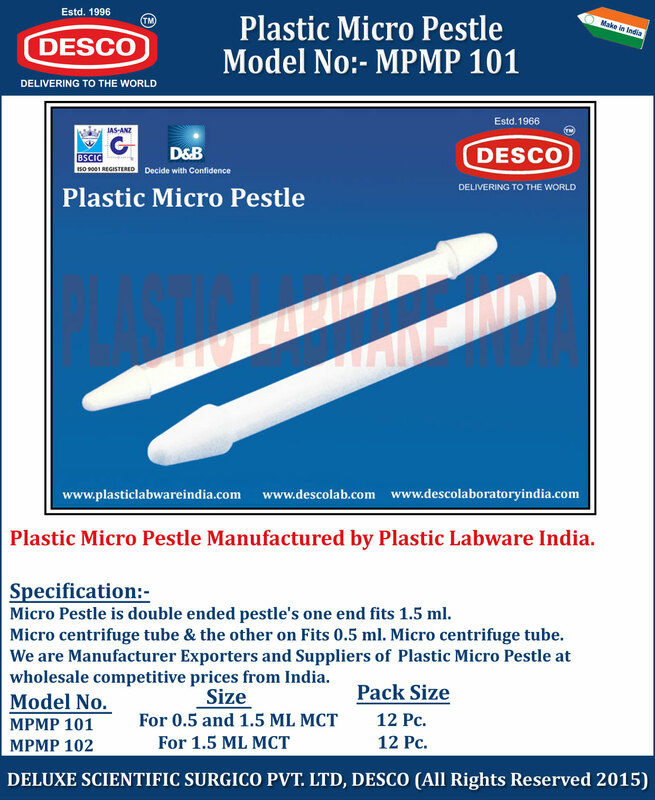 We are Manufacturer Exporters and Suppliers of Plastic Micro Pestle at wholesale competitive prices from India. MPMP 101 For 0.5 and 1.5 ML MCT 12 Pc. MPMP 102 For 1.5 ML MCT 12 Pc.